Give us a call. You won’t regret taking the time to visit us, but you might regret it if you don’t. 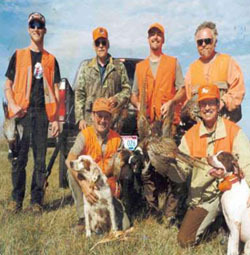 Whether it is you, your hunting buddies, or a good customer, share the South Dakota hunting experience at Allen’s. Pheasant hunt of a lifetime. Last year, 85% of our hunters who stayed at Allen’s and hunted our private land got their limits, and have already booked for next year. If you prefer to hunt on your own around Chamberlain, we have maps and public shooting area brochures of the area. There are thousands of acres of public land to hunt. 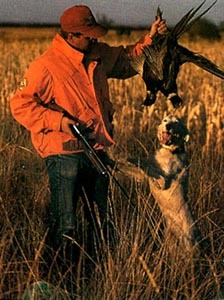 When making your next hunting trip to South Dakota, call Allen’s for a trip of a lifetime.